Tarka (left) will join stablemate Toulouse on a Victoria Derby path after winning at Warwick Farm. Tarka has doubled trainer David Payne’s attack on successive Victoria Derby wins with his victory at Warwick Farm. Payne has already earmarked Toulouse as a successor to Ace High, winner of the Spring Champion Stakes and Victoria Derby last season. Toulouse will run in Saturday’s Ming Dynasty Quality on a path to the Group Three Gloaming Stakes (1800m) on September 22 which is also now an aim for Tarka who claimed his second win from four starts in Wednesday’s Benchmark 66-race over 1600m. Ridden by James McDonald and carrying top weight of 61kg at his first start for six weeks, Tarka ($3) held on to beat $2.15 favourite Matowi by a half neck. “He is bred to stay and will go to the Gloaming, the Spring Champion and the Victoria Derby,” Payne said. “He is a little horse and and did well to carry the 61 kilograms. “He looks like he could be a serious horse. McDonald agreed Tarka had the makings of genuine stakes contender. “I think he is pretty smart and will be winning better races than today,” he said. “It was a muddling-run race so it was a good effort. Payne said Ace High had come through Saturday’s Group One Winx Stakes well apart from a minor abrasion to a hind leg. Ace High finished last of the 11 runners over 1400m, a distance short of his best but one at which he has run well in the past. “I was disappointed but he seems all right,” Payne said. 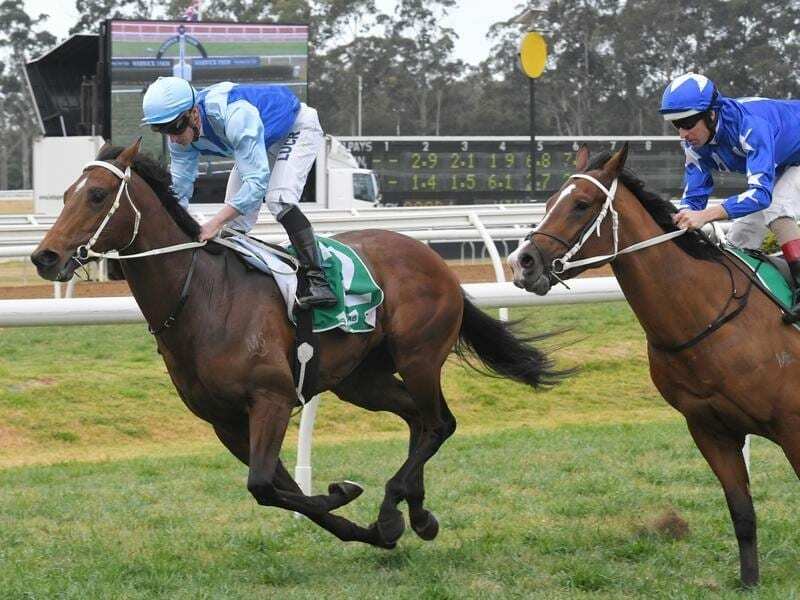 Tarka was one of three winners on the seven-race program for McDonald who was also successful on the Chris Waller-trained Sure Knee and Godolphin’s Coruscate.